He came into the centre though no fault of his own, he was extremely loved right up until his previous owner became too poorly to care for him. 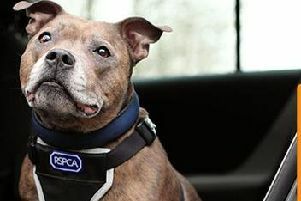 Harvey has so much to offer, he loves attention and just needs a quiet home to retire in. If Harvey is going to a home with other cats, he would probably prefer to be re-homed with older, calmer cats. He is an inquisitive chap with an independent nature and would love to curl up on someone’s sofa. If you want to know more about Harvey simply visit http://www.rspca-radcliffe.org.uk/animal/harvey/ alternatively you can ring: 0115 855 0222, email info@rspca-radcliffe.org.uk or if you would like to visit the centre: RSPCA Radcliffe Animal Centre, 32 Nottingham Rd, Radcliffe on Trent, Nottingham, NG12 2DW.